I made this by combining two photos and tweaking them in various ways. At that time, The Morrighan said that I would be fine for the next 3 years if I would let go of what was blocking me, and that I knew what that was. At the time I wasn’t sure, but didn’t ask. I think I know now what has been blocking me. If you’ve been following my blogs, you’ll know that I’m in my internship for becoming a sign language interpreter. Also, since my last blog, I’ve moved in with my new lover, and we’ve now been together about 7 months. I’ve rented my place out to a friend of his, and am contributing money to food and board to my boyfriend. I’m still tutoring which earns hardly anything, living off savings, and now the rent money is helping out. So I continue to have my needs taken care of, while pursuing my new career. I’ve been watching my savings diminish to less and less, and I still have enough. In the internship, it has been pretty stressful, trying to get all the hours I need to pass, and to do well. Like many of the students in our IPP (Interpreter Preparation Program) cohort, I am quite hard on myself and have high expectations. For the most part, I’ve been doing really well in the internship, able to practice a lot and get great feedback. I’ve felt pretty confident overall, though confidence is a strange animal (like one of the gazillion Pokemon– I think I’ll call it Wonkywonks or something- my lover’s 17 year old daughter knows all about them). 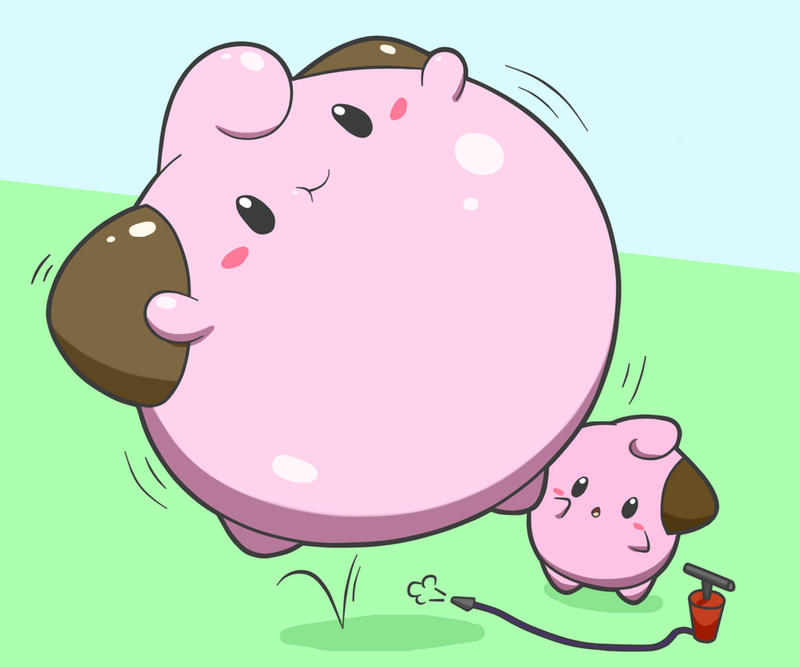 Confidence can inflate to be way too big, to medium, and then lose air like a balloon and become almost non-existent. And it has special powers: when it’s too small, it can make your brain run really slowly, and when it’s too big, the brain runs fast and wildly. Over the course of the internship, it went from a little more than medium, to medium pretty steadily, and recently it’s taken some dips into small. Last week, it got way too small. There’s a Philosophy class I’ve been interning in, and the professor is super smart and talks a mile a minute. Sometimes the structure of his lesson is difficult to discern, and as interpreters in the class, we have to have faith that what we’re interpreting will have come kind of cohesion and make sense eventually. I’ve struggled to keep up with this professor, and I realized that what was keeping me back was my perfectionist nature- I needed to get all the concepts correct and tie it all in with the gestalt (this is interpreter jargon we students have started to incorporate into our internal lexicons). So, last Tuesday, I was going way slower than I should have been and I dropped the concepts, so that my supervising interpreter had to pick up the slack many times and take over. After the class, she gave me some crushing news, that she may have to take over the class if I didn’t speed up. That same day, I had a voicing test, and I’m not sure if my nerves over the test affected my interpreting that day, or what was going on, but my self confidence had become small. I had to struggle to build it up again and try to relax a bit before the test so that I wouldn’t freeze up. During the test, I lost a lot of chunks of information, and I felt like I had bombed it. So: back to that strange transparent fish that wanted to escape capture: what was it that was blocking me from shining at my best? Yes, my perfectionist nature, but more than that: I didn’t have faith in myself. I felt like I had to over-monitor how I was doing, in order to do well, instead of letting me just do what I am already good at. I was micromanaging myself. I’m not sure if that makes sense. I had to free the wild awesome woman that I am, the wild interpreter. Or, maybe ‘wild’ isn’t the right word- more like a wild animal, untamed, rather than acting wildly. I had to relax to let myself be the best untamed human I can be, and trust that I CAN be the best I can be. That night, I came up with a way to help myself feel better: a plan. I always feel better when I have a plan. In case my supervising interpreter decided on choice A: to let me have another chance before taking over, I would up my game and rise to the challenge. In case she went with choice B: take over the class, I would accept it as a relief from stress (I hoped I would react that way, anyway), and record the lectures and observe her sign choices, and practice interpreting the lecture afterward. That way I would still be pursuing my goal to be able to handle the class. So, to prepare for choice A, I brought up a youtube video related to the same topic, with a fast talking professor, and practiced signing. I sat on our bed, practicing signing a mile a minute, finding that I could keep up with the professor for the most part! I also needed to limber up my fingers to fingerspell quickly. At one point, signing wildly on the bed, I looked up and saw our dog looking in the doorway, with a stricken look on her face. She stood still and stared at me- this strange transformation of my calm and quiet self into a crazily waving person (in her view, I’m guessing). At one point I took a short break, and she came up on the bed (where she prefers to be, in arms length of petting). After a while I started up with signing again and she left, like “Ok, I’m outta here.” Pretty funny. The next day, last Thursday, I felt a little nauseous with worry over what would happen. I practiced again, had more caffeine to wake up my neurons, and drove in to the internship site. Before class, I was fingerspelling philosopher’s names in the hallway, when the Deaf student came up and caught me practicing. We chatted a bit, then entered the room when the supervising interpreter came walking up. It turned out that my supervising interpreter chose A, to give me a chance, for which I’m grateful. She started first, interpreting for 20 minutes, as we had previously agreed. Then it was my turn, and I … want to say I was on fire, but I think that’s my heart being happy about it. I wasn’t really on fire, I was *just right. * I did it! Later at class that night, I found out I got a B on the test. What a relief! I had done better on that test than I had thought. Back to the ravens. I had a thought this week that since I’d moved far away from where I was living before, I hadn’t seen any ravens, and I missed seeing them. Guess what I saw on Wednesday and Thursday? 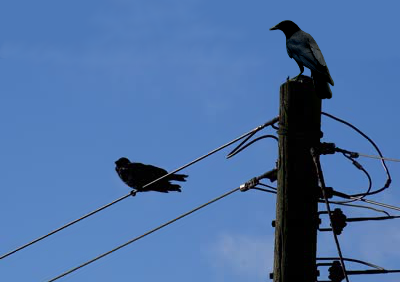 Crows, not ravens, but close enough to give me a wonderful feeling. I’m still being taken care of.